It's Outdoor Wednesday just before Christmas over at A Southern Daydreamer. Enjoy the season with Mother Nature. That is a beautiful photo, Candy....just perfect for Christmas! 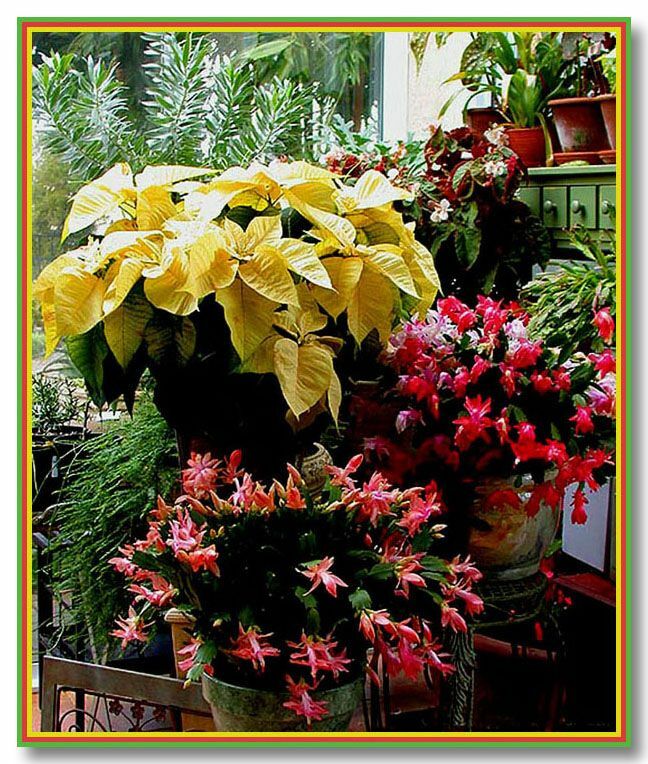 Great photo capturing the perfect Christmas greenery and plants. Happy Holidays! Enjoyed seeing the Christmas Cactus blooming. For me there are no finer decorations than those found in nature, thank you for sharing two of my favorites! I noticed in your archives that you had posted a photo of you and your brother from 1952. I posted one of me and my big brother from the same year on Monday. What a coincidence! I love looking at old family photos and your hand puppets are wonderful. I was glad to see that you still have them and can only imagine the sweet memories they must bring. Beautiful flowers! Have a Very Merry Christmas. Our weather is pretty blah here today in my part of MO. these are beautiful plants, thanks for sharing. Thanks everyone, here's hoping you all have a wonderful holiday!